For years now, CPAs have been on the front lines of the financial literacy battle, and while we undoubtedly want everyone to get smarter about their finances, the financial literacy push has centered on some very targeted audiences – specifically, the financial illiterate. Here’s a problem, though: Sometimes the people who know a lot about personal finance still fall victim to circumstance. Case in point: Tom Palome. His story was told on NPR recently by Bloomberg reporter Carol Hymowitz. Tom is 77, a former vice president of marketing for Oral-B whose salary rose to the low six figures at the height of his career. By all accounts, he was a success – great job, great family, paid off his mortgage, put his kids through college. He even managed to save a little bit for retirement along the way. Then came 2008. He lost most of what he had saved for retirement when the stock market crashed. Today, when he should be enjoying retirement, he’s working two part-time jobs to make ends meet. The median 401(k) balance for households headed by people aged 55 to 64 who had retirement accounts at work was $120,000 in 2011. Those savings will provide $4,800 a year, assuming seniors withdraw 4 percent annually. “Longevity should be a blessing, but if you haven’t planned for it, you’re going to work much longer than you ever dreamed of doing,” Larry Fink, CEO of BlackRock Inc., the world’s largest asset manager, told Hymowitz. Just how bad is the retirement landscape? According to a new report, financial advisors themselves seem unsure whether the retirement advice they’re giving their clients will be successful. Cautionary tales like this make this much obvious: Instilling a spirit of saving in the next generation of workers is more important than ever. Enjoying a comfortable retirement means saving a ton of money right out of the gate, from Day 1 on the job. And with advancements in medical technology, we’re living longer than ever. Longevity researcher Aubrey De Grey has famously predicted that the first person to live to 150 has already been born. Are today’s millennials willing to put enough money away to fund a 50- or 60- or 70-year retirement? 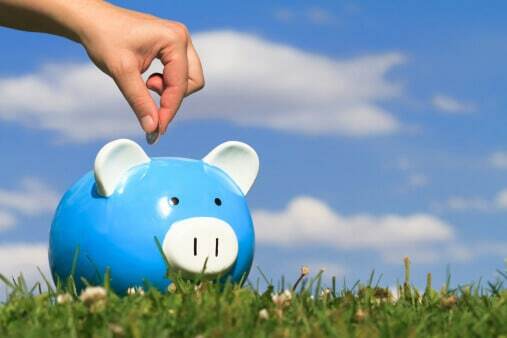 Financial literacy has quickly become about much more than saving your pennies. It may be one of the most important skills we’ll have going forward. How literate are you and your clients?